The University of North Florida is a public university in Jacksonville, Florida. Jacksonville Municipal Stadium is one of the best places to visit. What do you love to do on vacation? Chances are you'll find the answer to that question when you visit the Hampton Inn & Suites® Jacksonville/South-Bartram Park. There truly is so much to enjoy while in Jacksonville like taking the family to Adventure Landing Water Park, playing a round of golf at nearby St. Johns Golf and Country Club, visiting the Museum of Science and History in downtown Jacksonville, or shopping at the beautiful St. John's Town Center. 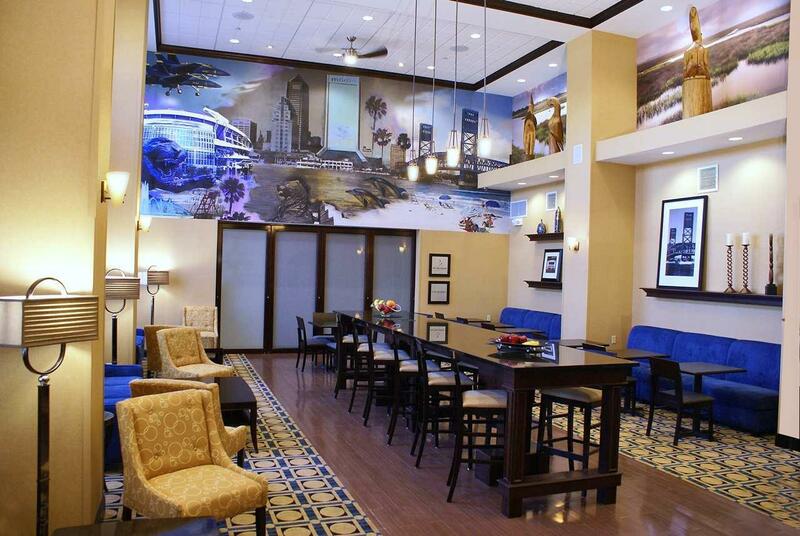 Our hotel is the perfect place to experience all that Jacksonville has to offer. We're not sure how strictly it's enforced, but we're pretty sure it's against the law to visit Florida without enjoying some time on the beach. Of course that's not the case, but even if it were, you're sure to be safe with us at the Hampton Inn & Suites-Jacksonville/South-Bartram Park. Our hotel is just minutes from the fun and sun of Jacksonville, Neptune and Atlantic Beaches. It's easy to see that Jacksonville is much more than pristine beaches, however. A diverse and vibrant arts district has emerged along the St. Johns riverfront, where you're invited to spend your day browsing the work of local artists and where the night comes to life with live musical performances. Plan your trip during the fall to include a Jaguars NFL game on your agenda of can't-miss events during your stay with us at the Hampton Inn & Suites Jacksonville/South-Bartram Park, your home base in a decidedly different kind of Florida.